I don’t know how a lot of bead designers start a project, if drawings are first made and then to the actual piece. I have to see the bead first. Usually a visual of a piece comes next. I will string a sample just to see if this idea will work. There have been times when what I can see in front of me is horrible. It’s back to trying once again. 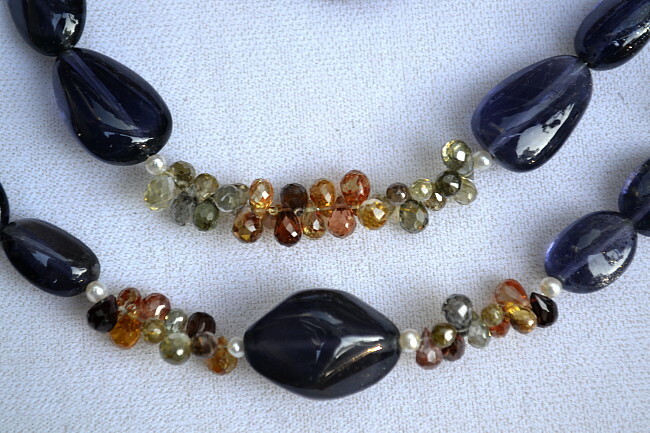 I do take photographs of sections on a finished necklace. Just in case I need to make the same piece again. A jewelry cookbook of recipes. I just don’t remember everything I have designed or how many beads were used. I think like most artists, I strive to be original in what I make. 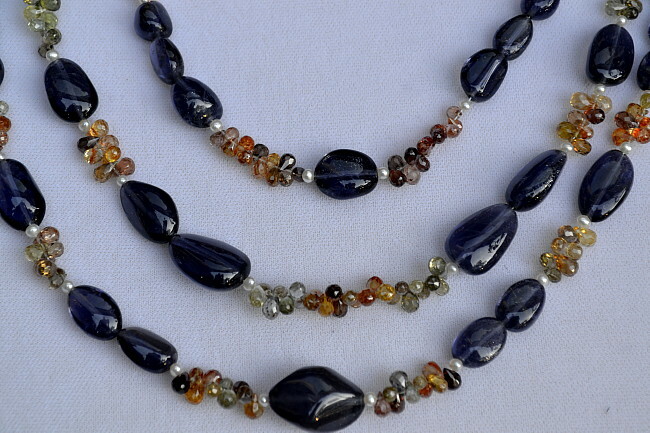 There is most definitely an artistry to beads. Like most, I am always thinking will somebody else like this too. I like mixing textures. More interesting. I like mixing different sizes together. I named this “The Color Purple”. 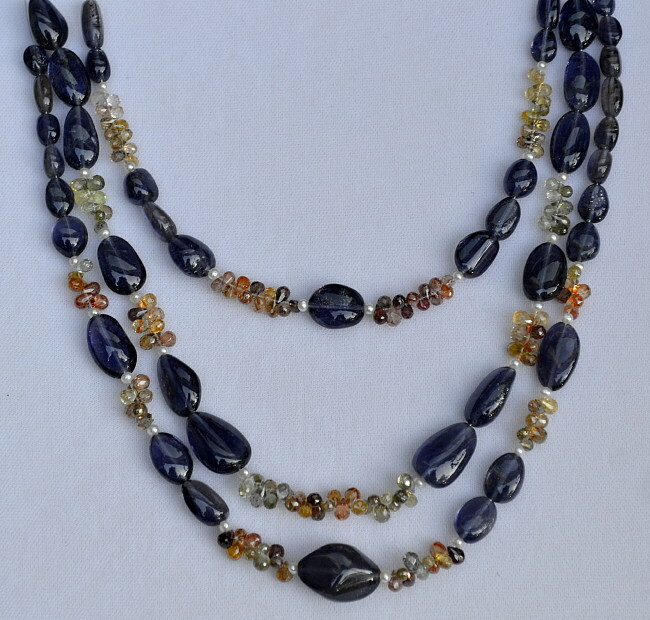 Smooth iolite nugget cut stones, faceted zircons in a variety of greens, rust, purples, champagne, brown, and then I added freshwater pearls. I am deciding on three strands, maybe two. Another lovely art form that I will follow and thank you for your visit! You are so welcome! Thank you for the comment!